First Choice Neurology Davie Neurologists include Dr. Jeffrey Steinberg and Dr. Karen Nater-Pineiro. 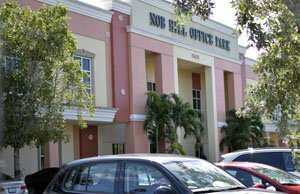 They are located at 10650 W. State Road 84, Suite 211, in Davie, Florida. For an appointment, call Dr. Steinberg's at (954) 862-7524 or Dr. Nater-Pineiro at (954) 368-9233.